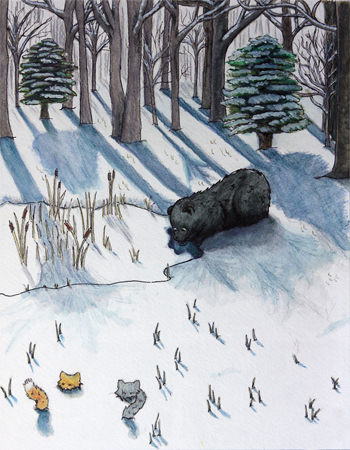 The Winter Woods print is one of the beautiful illustrations featured in the Children's Book Valley Cats. Please email us at klneumann.art@charter.net if you are interested in larger prints. Copyright 2010 Karin Neumann.